Where are you getting your financial advice? Newspapers? Magazines? Web sites? Cable TV? While financial media can often provide helpful information, it cannot take the place of the personalized advice an experienced financial adviser who is familiar with your particular situation can offer. With 30 years of experience, and New York Life and its affiliates behind him, Bill Van Winkle has been helping people make decisions to improve their current financial situations and to add a level of financial security to their futures. Bill has the the most up to date tools and resources at his disposal to help all of his clients make the informed decisions that are necessary in today's financial climate. He can help to provide a track to run on to help you reach your financial goals. He will work with you to make your Financial Plan come to fruition. Do you have concerns about any of the following? As a Financial Adviser with Eagle Strategies LLC, a Registered Investment Adviser, I can provide you with a customized plan to help address your concerns and help you achieve your financial objectives. Please use my Web site as a resource, and do not hesitate to contact me for additional information or to schedule a meeting. Thank you for your interest. 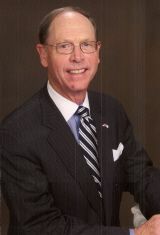 Bill Van Winkle is licensed to sell insurance through New York Life Insurance Company and may be licensed with various other independent unaffiliated insurance companies in the state(s) of AZ, FL, MA, MD, NJ, NY, NC, PA, SC & VA. No insurance business may be conducted outside these state(s) referenced. Bill Van Winkle is a Registered Representative of and offers securities products & services through NYLIFE Securities LLC, 776 Shrewsbury Avenue, Tinton Falls, NJ 07724, Member FINRA/SIPC, a Licensed Insurance Agency. In this regard, this communication is strictly intended for individuals residing in the state(s) of AZ, FL, MD, NJ, NY, NC, PA, SC & VA.
Bill Van Winkle is also separately registered as an investment adviser representative with Eagle Strategies LLC, a Registered Investment Adviser, offering advisory services in the state(s) of NJ. As such, these services are strictly intended for individuals residing in the specific state(s) referenced. Van Winkle Associates is not owned or operated ny NYLIFE Securities LLC or its affiliates. Log in or create a Personal Folder.